Fabulously constructed by an expert woodworker, no doubt. This is a handsome accomplishment in parquetry as the gameboard comes in its own handmade ribbed detail wood hinged case. 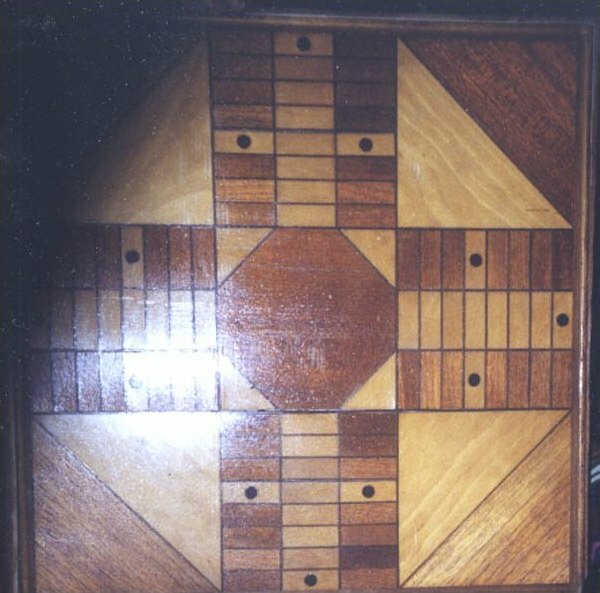 Reverses from incised Parcheesi to a traditional checkerboard. Warm honey tones and darker wood.